Ah, a bowl of cold and spicy gazpacho. 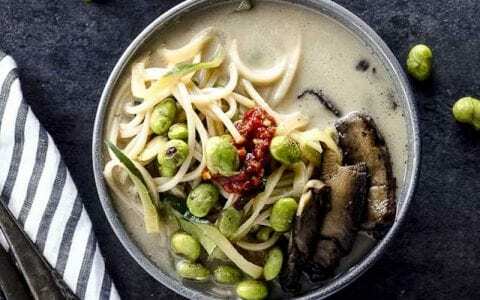 The answer to a soup lover’s summer woes, when traditional warm soups are too hot for the heat but you’re craving a simple soup from the season’s fresh vegetables. Gazpacho is a simple, yet often overlooked, summer favorite. Made from fresh tomatoes, vegetables, herbs, and spices, it is an easy (only 15 minutes!) recipe that is always a crowd pleaser. When Pomi Tomatoes reached out to collaborate on a summer recipe celebrating the return of tomato season (the best season of the year! ), I knew that a cold and spicy gazpacho was the perfect way to use Pomi’s strained tomatoes. Pomi’s tomatoes are grown in the Cremona, Parma, Piacenza, and Mantua regions of Italy and the company has a commitment to sustainability and traceability of all its tomatoes. 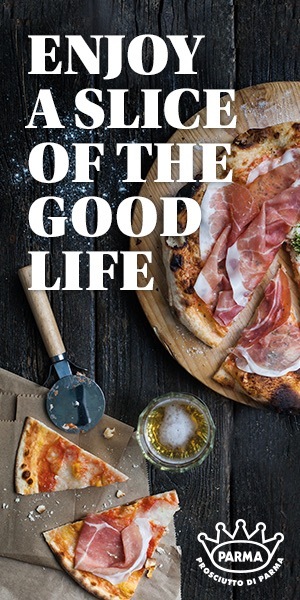 Their commitment to quality and the environment was a perfect fit for the Fork in the Road food philosophy of using fresh and seasonal superfoods to create simple, yet inspired, recipes. Ready for a delicious, and ridiculously simple, summer gazpacho? Let’s get to it! What is gazpacho and where does it originate? Gazpacho is a cold raw tomato and vegetable soup that is cool and refreshing, and is typically served in Spain and Portugal in the warm summer months. 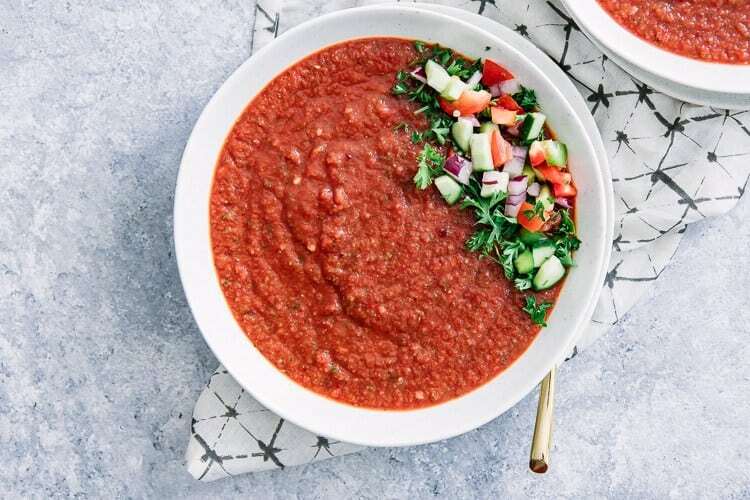 Traditional gazpacho is a tomato base and includes garlic, onion, vinegar, oil, and salt but can also include cucumber, cream, fruit, and other produce. Though the Southern Spanish state of Andalusia (which is home to the cities Seville and Grenada) is most typically thought of as the home of modern gazpacho, the basis for the cold soup actually originated in Ancient Rome and was brought to current day Spain. Gazpacho is a super simple cold soup that requires very little preparation–and no cooking! It can be made in as little as 15 minutes, and most of that time is actually spent cutting vegetables. First, the fruit and vegetables are collected and cut into small pieces (size doesn’t typically matter, just a size that is easy to blend later). The produce, oil, vinegar, herbs, and spices are then added to a blender and pulsed until desired consistency. Some gazpachos are served thin as a soup, and other are chunky with pieces of chewable vegetables throughout. Both are delicious and I recommend trying both ways to see which you prefer. To make gazpacho even easier, you can use strained tomatoes like Pomi in place of fresh. 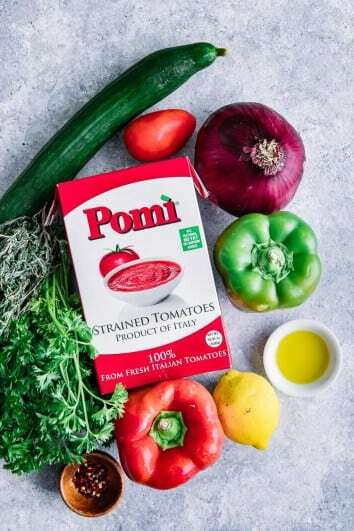 Pomi is dedicated to quality and freshness, and its tomatoes are strained and packaged within 50 kilometers from where they were grown on farms throughout Italy. After blending, the soup can be served immediately at room temperature, but typically it is chilled and served cold with a side of bread and is sometimes served in small drinkable glasses. Gazpacho (sometimes referred to as “gaspacho”) is the perfect cool and refreshing soup for warm weather months! Many other cultures around the world have cold soups similar to gazpacho such as the bread and tomato soup arjamolho in Portugal, beet and vegetable borscht from Russia and the Ukraine, and the cold or hot tomaattikeitto from Finland. More modern versions of gazpacho include creative ingredients such as watermelon, avocado, and cucumber (which I used in this Simple Spicy Gazpacho recipe). Get creative with gazpacho and use fresh vegetables such as leeks, fennel, or spicy peppers and switch up the color by using gold or green tomatoes. Gazpacho is about as easy soup recipe as you can make, however there are a few simple tools that will make preparing this cold soup even easier. First, a good set of quality kitchen knives is key for cutting vegetables. Second, a good traditional quality blender is necessary to puree vegetables, however a handheld immersion blender can also be used. I also like to cut corners on time, but not on freshness, so at times I use strained tomatoes like those from Pomi. This also allows you to enjoy gazpacho and other tomato soups throughout the whole year! And finally, a large soup pot to store and chill the gazpacho. A great soup pot is a kitchen essential in the fall and winter cold weather months, but making cold gazpacho allows you to utilize it in the summer heat as well! 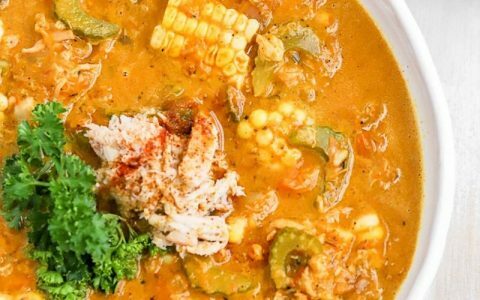 Craving more simple soup recipes? 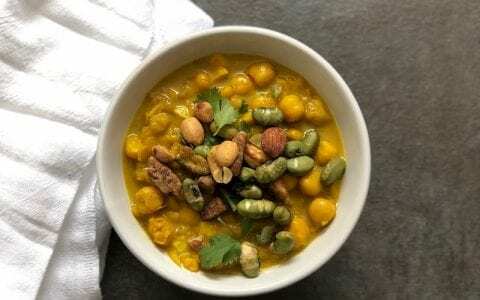 Check out our vegan Roasted Tomato Leek Soup and Vegan Roasted Corn Potato Soup recipes, both use seasonal summer vegetables and are great for freezing and eating into the fall and winter. Did you make this Simple Spicy Gazpacho? Leave a comment below and rate the recipe to let us know how it turned out. 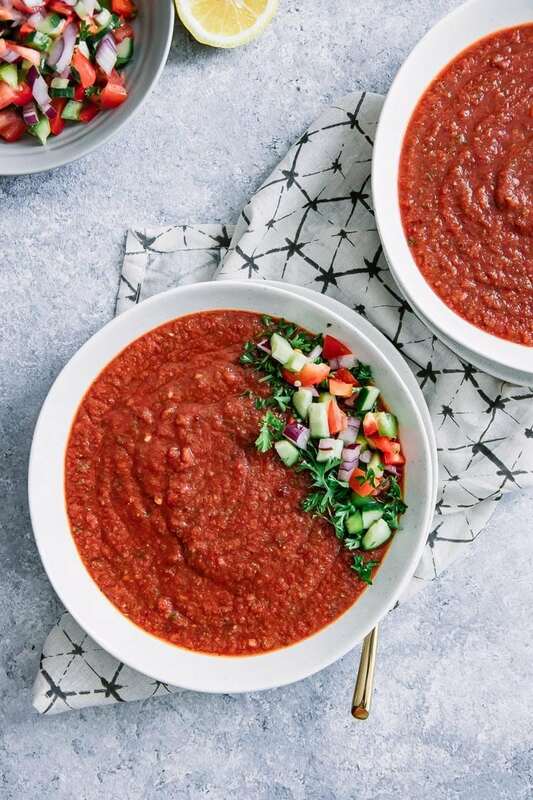 Save this gazpacho recipe for later by pinning to your favorite soup Pinterest board and make sure to tag me on Fork in the Road’s Instagram to show me your gazpacho creations! 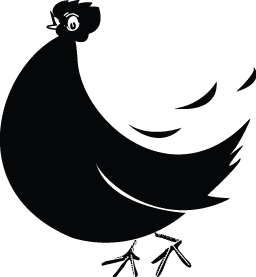 For Cucumber Salad Garnish: Combine ½ cup of cut cucumber, tomato, ¼ cup of red onion, ¼ cup of parsley, ⅛ cup of fresh thyme, ½ of lemon juice, ⅛ teaspoon of salt, and ⅛ teaspoon of pepper in a medium bowl. Mix to combine and set aside. 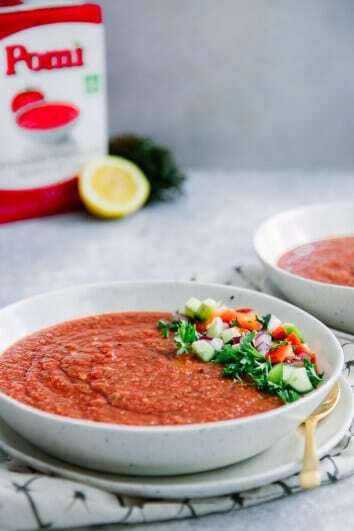 For Simple Spicy Gazpacho: In a large soup pot, add strained tomatoes, balsamic vinegar, bell pepper, and crushed red pepper flakes with remaining cucumber, tomato, red onion, parsley, lemon juice, salt, and pepper. Blend with an immersion blender or, alternatively, blend all ingredients in a traditional blender until smooth. Adjust spices to taste and chill for minimum 2 hours. To serve: Serve chilled soup with Cucumber Salad Garnish on top and enjoy! 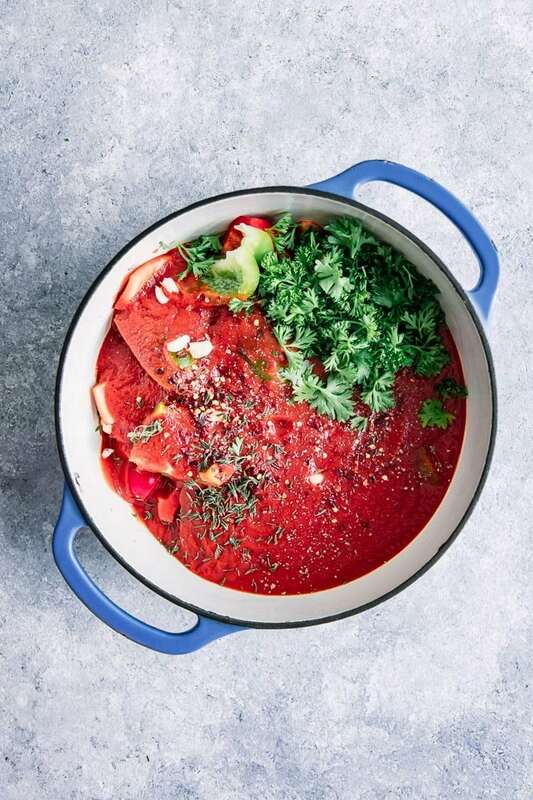 Though gazpacho is traditionally served cold, this soup can also be heated and served as a traditional warm tomato soup. Serve this traditional Spanish style with a side of bread and tapas, or make it your own by paring with fresh summer fruit and cheese. 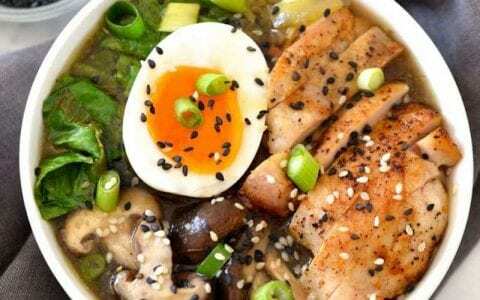 Leftovers & Storage: This soup can be stored in the refrigerator for up to a week. 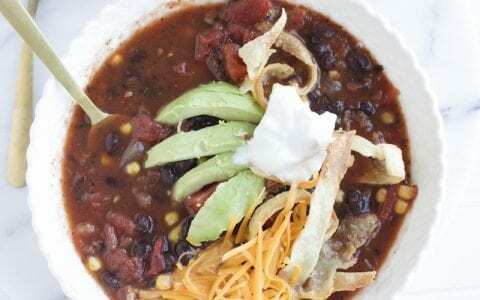 This is a great soup to freeze and eat throughout the fall and winter. 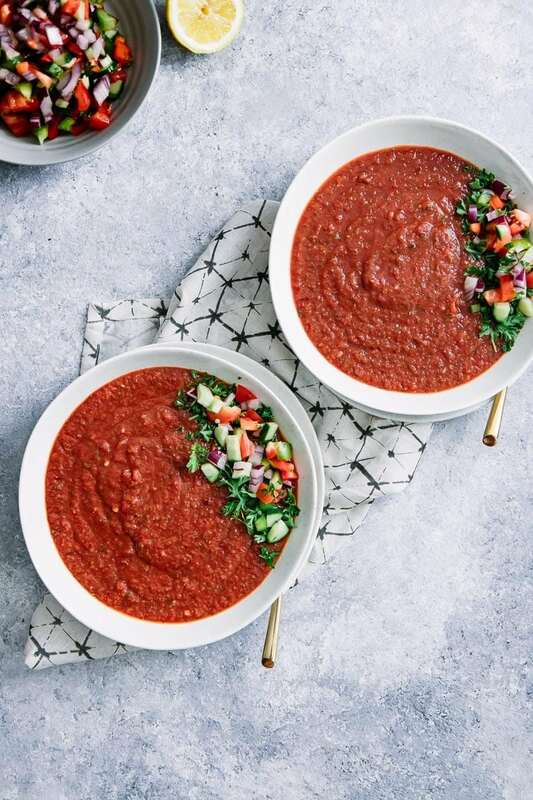 Nutrition: This simple vegan tomato soup is low in sodium, a good source of fiber, and packed with antioxidants from fresh fruits and vegetables. It is high in vitamin C and potassium.